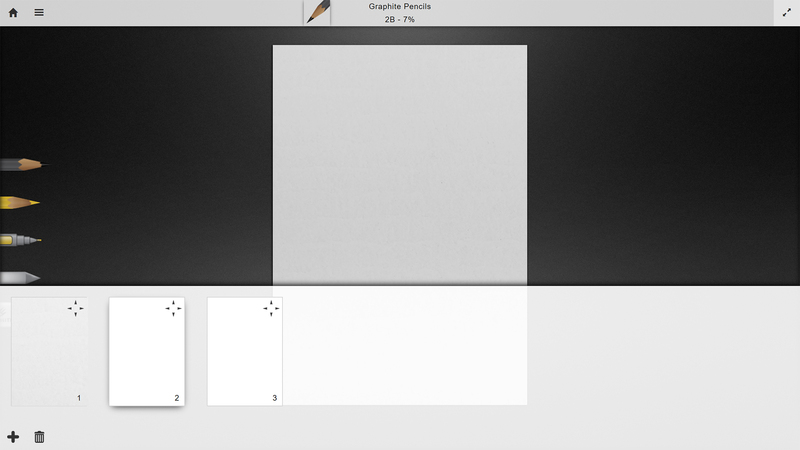 Sketch books, which are newly introduced in Graphiter v2.0 contain pages. The page size, and the paper type and color, are created with the default settings with which you created the sketch book. To expand the pages panel, click the sketch book button in the bottom-bar. Using the pages panel, you can now add , remove , select and reorder pages.